Great Bradley Map of 1807 A map of Suffolk divided into it's Hundreds exhibiting it's roads, river, parks etc by John Cary, engraver, 1807. 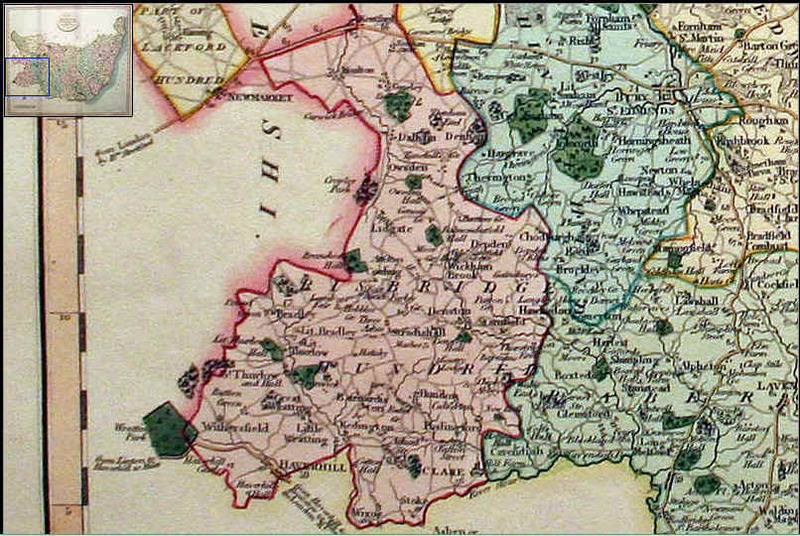 A fine detailed engraved map of the county. Oval title panel, scale and compass rose. 21 x 18 inches. Original outline and wash hand colouring. Good clean condition. From Cary's New English Atlas. This map represents the proposed boundary changes: The blue bordered regions are the Petty Sessional Divisions and the red are the proposed Parliamentary divisions. 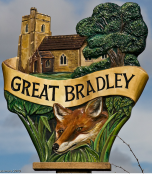 For the latter Great Bradley is proposed to be part of Sudbury and the Petty Sessional Division is stamped on this map as Bisbridge. This is a spelling mistake: it should be Risbridge (although some digitisation of books by Google will read Risbridge as Bisbridge!). 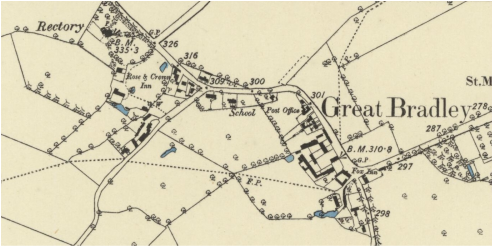 This is from the County Series of Ordnance Survey maps for Great Britain. Begun in 1840, this is the first comprehensive historic mapping of the UK. Unfortunately, this is the only fragment to be found on line so far. 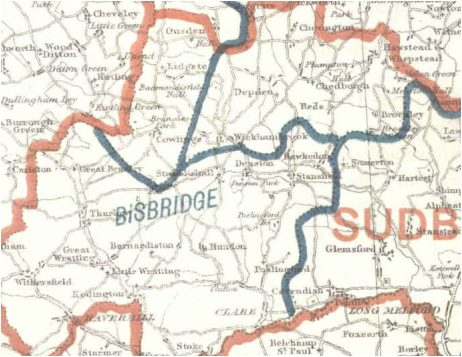 This is the first map to show the railways on the county map.